Truman State University sends over twenty students a year to the National Conference of Undergraduate Research (NCUR,) a group that usually includes at least a couple of Art majors. 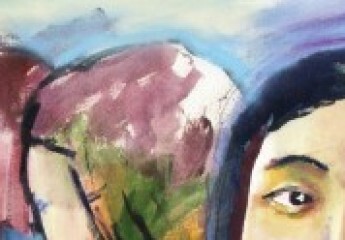 The Art faculty are also very involved with NCUR’s parent organization, the Council on Undergraduate Research, helping to spread the knowledge of the importance of undergraduate research and creative activity to students’ growth as thinkers, scholars, and contributing members of society in a wide variety of ways. Three members of the faculty serve as councilors in the Division of Arts and Humanities. Dr. Sara Orel is finishing up her term as chair of the Division and member of the Executive Board of the organization. Dr. Julia DeLancey is an active member of the International Committee, which is working to set up the first international congress focusing on undergraduate research in Qatar in the next few years. Professor Wynne Wilbur has just returned from an institute dedicated to Creative Inquiry in the Arts and Humanities in Greensboro, NC. This past summer all three attended the national business meeting in Norman, OK, along with several other Truman State faculty. Although the CUR business meeting was very busy, there was an opportunity to take a short break. 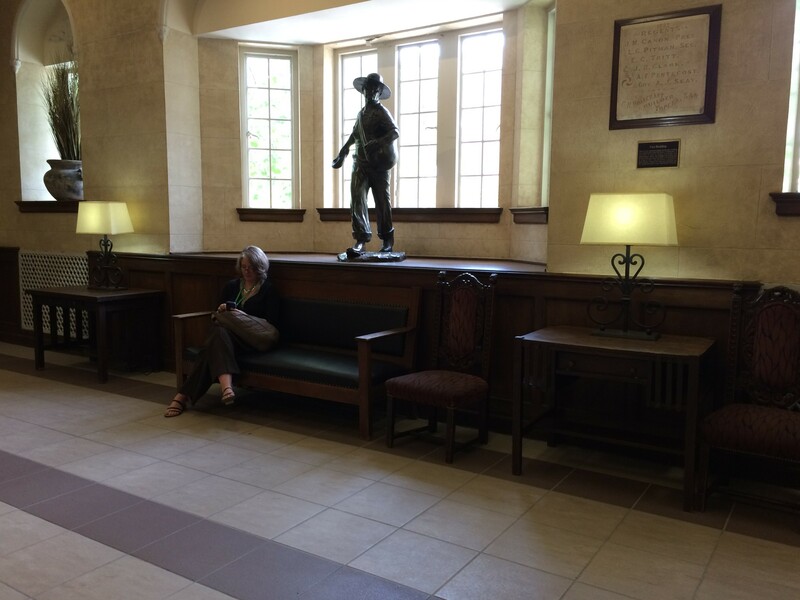 Here Dr. Julia DeLancey takes advantage of a moment between sessions at the Oklahoma Memorial Union (University of Oklahoma, Norman) to check her email. Taylor (Klein) Worley (BA Art History, 2009) as Max, from Where the Wild Things Are. Art students celebrate Halloween enthusiastically because of all its creative potential (not to mention a bit of candy to enjoy). Those who overlapped at Truman with Taylor (Klein) Worley from 2005 to 2009 will remember her elaborate and convincing costumes. After she graduated with her Art History BA, Taylor completed her Master of Library Science at Emporia State University in 2012. She is now a Youth Services Librarian at Springfield Public Library in the Oregon Willamette Valley. 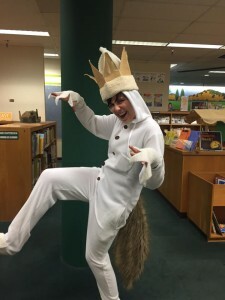 She still enjoys going all out for Halloween, this year by entertaining children and parents alike with her convincing Max (Where the Wild Things Are) costume. She is pictured here at her library’s annual “Little Monster’s Bash!” event. Youth Librarianship lends itself creativity in many ways, but dressing up as beloved characters is one of Taylor’s favorites!Taylor (and we) wish you the Happiest of Halloweens! If you are an alum and have news (or Halloween pictures) to share, please write to us at art@truman.edu We’d love to hear from you.